We can’t think of a better day than today to take the plunge with our very first blog post. We’ve been inspired by so many of our anipals to “Be the Change,” helping anipals who need it most while having loads of fun and sharing great tips and stories along the way. So in honor of Blog the Change Day we sniffed out some great causes we want to share with our anipals. We also had an interesting event happen this afternoon that couldn’t have happened on a better day. We were driving through the neighborhood with our pal Jenny who owns Canine Academy and Playschool when we spotted a young man bent over his dog. We stopped the car and asked if everything was ok. He answered that he was concerned the dog was too hot so they stopped in the shade to rest. This was a friend’s dog he was taking care of, he said, so he wasn’t aware how the heat can affect a dog very quickly... even while doing something that seems harmless like a nice, afternoon walk. Only it was 90-plus degrees outside and the pair had already been walking for about 20 minutes. So the happy ending is... Jenny sprung into action, getting the young man and dog inside her nice, air conditioned vehicle. Then we took them the few blocks back to Canine Academy -- which also conveniently has a grooming tub. We cooled the dog down with cool water and placed cool wet cloths on her feet and around her head. Luckily, our new friend had done the right thing to start with by stopping to rest in the shade. And the activity wasn’t extremely rigorous. But it still provided a useful, potentially life-saving lesson about how quickly our fluffy friends can overheat. For more about having a fun, safe summer with your four-leggers, About.com shares these useful tips. Since we’re in Atlanta, here are a couple of great ways to help in our own backyard and one global one too! 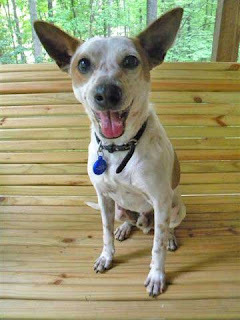 dog adoptions this Sunday, July 18 at Pet Supermarket at Ansley Mall. 11:30 a.m. - 4 pm., 1544 Piedmont Ave., Atlanta. Mostly Mutts also has dog adoptions every Saturday at PetSmart on Barrett Pkwy just west of I-75, from 11:30 a.m. - 4 p.m.
Spay/Neuter SOS (Society of the South), is hosting a three course dinner and silent auction, in a gorgeous venue of Historic Acworth, Ga., on Friday, August 13. Tickets are only $45 per person in advance (or $40 per person, when 2 or more tickets purchased at once). Price includes a full dinner, dessert, and the first glass of wine or beer. Checks can be sent to: 2774 N. Cobb Pkwy. Suite #109, Box #189 Kennesaw, GA 30152 (payable to Spay/Neuter Campaign). To donate silent auction items please email spayneutersos@gmail.com. 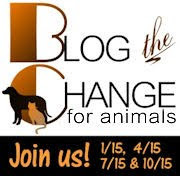 Our BlogPaws pals are the brains and brawn behind the next Be the Change for Pets challenge! Go to the Be the Change for Pets Facebook page, print a flyer and take a picture of it with you and your food donation for the Dog Days of Summer Pet Food Drive. Then donate to a local shelter or pet food bank. The challenge runs July 19 - July 31. Glad you and your friend stopped to help the "hot dog", Diane. My human had someone paged at the store yesterday - they left their little Yorkie in the car in the hot sun. Welcome to the world of blogging too! I'm sure Cosmo will tell you how to do it. Awesome start Guys. Hope to see more from you. Congrats on your new blog! It looks fabulous, and what a great post! Can't wait to read more! Welcome to the blogosphere Cosmo and Diane! This was a great first post and my mom and I are excited to read more. Happy Blog the Change Day! Oh well, Happy Blogging Cosmo mate!! Thank you for sharing. It is great to find your blog and for such a good cause! Dat a pawsome way to git started Cosmo n Miz Diane! We is glad yoo could help dat woofie. Great first post! Thanks for all of the links and info... yay for rescues! BOL!! Great start for your blog, looks super, I like the polka dot background! Really "cool" post about stopping to help the hot dog. Cosmo to the rescue! Thanks for letting me know about upcoming events in Atlanta where I can do something to help "be the change" for animals. Cosmo!!! *high paw* Cool blog!!! Thanks for Blogging the Change with your inaugural post! Your blog looks terrific and we look forward to reading more from you! How great that you stopped to help that poor dog - and the poor man who likely felt awful. I can only imagine how grateful they both were. Thanks too for sharing such worthwhile causes. Great site. Nice post. Wow! What a fantastic day out you had! Murray was so excited when he saw Angel and Rocco!! He was jumping up and down with excitement - we had to print out the picture for him! It is wonderful that you participated in such a wonderful cause! You do the most interesting things! Thanks for sharing..